Have you ever gone on a vacation and found yourself checking a super cool but very odd purchase as luggage on your way home? We have an experience with this very scenario that we've been waiting to share with you for some time. Almost two years ago Wendy and I went on a trip that we'd been waiting to take for decades. We'd long dreamt of going to Ireland together, and we finally took a true trip of a lifetime back in October 2015. We loved just about every second of the trip. It was truly enjoyable from start to finish, and we even have a brief recap if you'd like to check it out. But that recap of our trip left out a little detail that really made this trip one to remember. 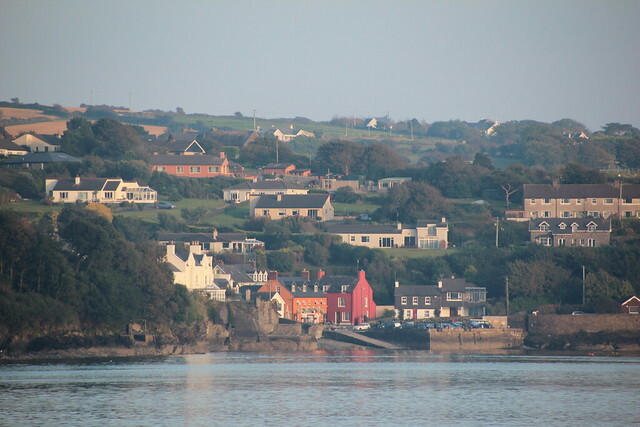 Nearing the end of our whirlwind tour of the southern half of the greenest country I've ever seen, we were driving from the picturesque historic port town of Kinsale toward Dublin for one final night. 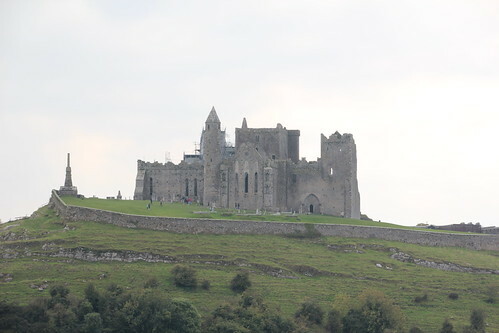 Not in any hurry to rush our way through our last moments in the stunning Irish countryside, and wanting to take in as many sites as we could before we'd depart, we made a few stops along the way. One of the stops was in the thousand year old city of Kikenny in the southeast of Ireland. 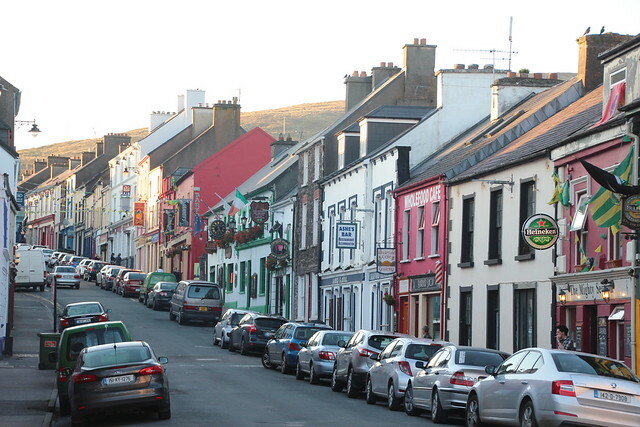 The bustling and winding streets of shopping were the perfect bridge between the quiet towns we'd been visiting on our way back to vibrant and bustling Dublin. We had a wonderful time exploring, but one particular shop stands out in our minds. The front of this little antique store was nondescript, yet very inviting. 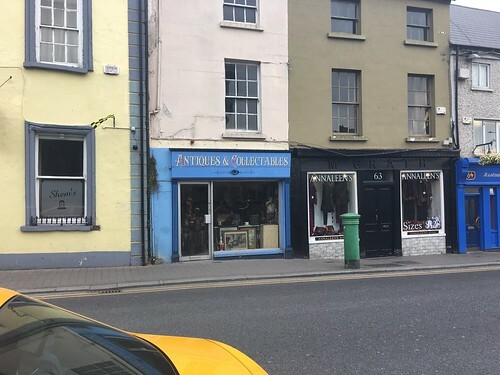 The exterior was plain, with only a script "Antiques and Collectables" sign drawing us in. There was no elaborate display like so many of the other shops, but rather it was the water damage, chipped paint, off center windows, and a collection of trinkets with piles of dusty artwork in the window that spoke to us. As soon as we walked in, we knew this was the place for us. We explored the crowded walls and floor of the narrow shop. An eclectic mix of antiques were haphazardly arranged along the walls and stacked in corners. There seemed to be no rhyme or reason why each piece was in the store, other than the fact that the owner had found each interesting in some way, acquired them all at some point, and was looking for someone to buy them from him. The store felt claustrophobic with just five patrons and the owner. In our experience, this is the hallmark of a wonderful antique store! No fewer than two to five minutes in the store and we'd both spotted what we were there for, we just didn't know yet. 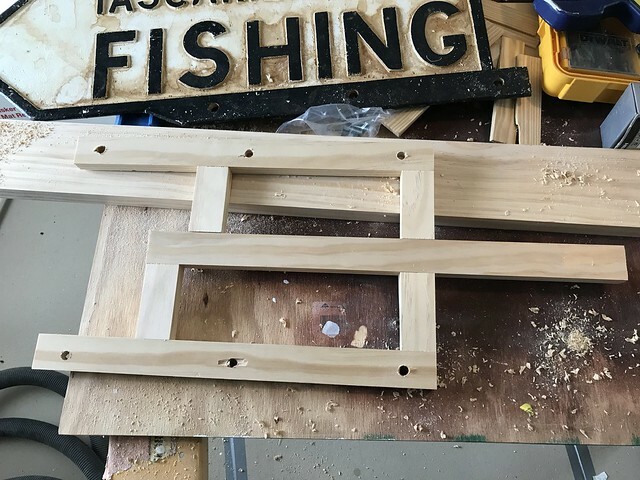 I snapped the photo above to show Wendy the "Cool cast iron fishing sign" I thought she'd like. But as I approached to show her the photo she looked back at me and said, "Did you see the sign that says 'Fishing'? I think it's perfect!" It was antique picking serendipity or a plain old "meet cute" of the antiquing variety. We asked the store's owner for a price and he responded "100 Euro." We were on our way out of town, only had 95 Euro in our wallet, and he didn't take credit. It was also a lot more than we usually spend on home decor items, but we knew it was truly a conversation piece and would make for an amazing and unique souvenir. We tried to bargain him down but he wasn't budging. Not wanting to let this get away we scrounged through our pockets and bag and were able to come up with three more Euro. After delivering our "best and final" offer, we were met by a lengthly pause, then he reluctantly accepted the 98 Euro. 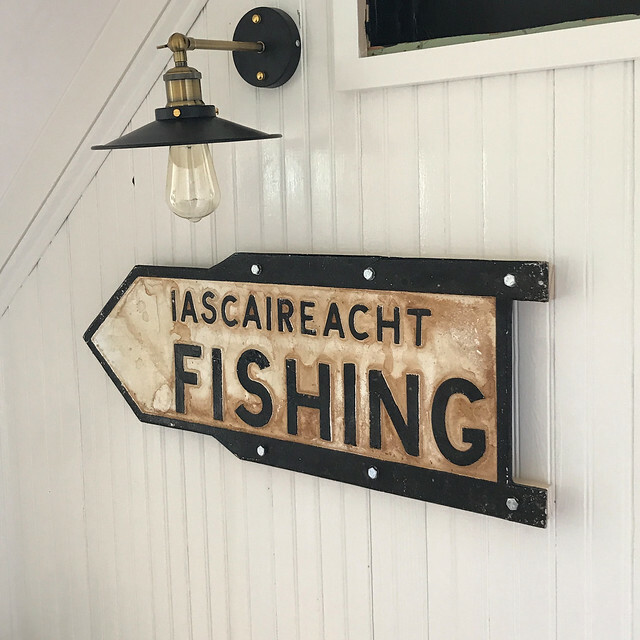 We quickly closed the sale and walked out of his store proud owners of an antique cast iron Galway road sign, complete with authentic Irish grime and dirt! These signs are nothing short of iconic in Ireland. If you do a quick search online you'll fine plenty of place where you can get reproductions of their classic look all over the place. But very few places have the real thing, and this is the only one I've ever seen that advertises "Fishing." Though we'd made the purchase that was only half the battle. 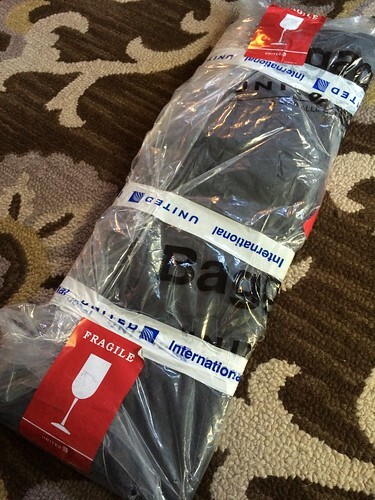 We had a flight to catch the next day and the sign was too large to fit in our luggage. When we arrived at the airport we checked in at the United desk and asked how we should handle this large sign. "Could we carry it on the plane?" The check in desk felt it could be construed as a weapon (the most awkward weapon ever perhaps) and indicated we may have it seized if we tried to take it through security, so they helped us check it as luggage. Working with the extremely helpful staff, we wrapped the sign in newspaper, plastic, and tape (basically whatever we could get our hands on at that point) to withstand the journey. 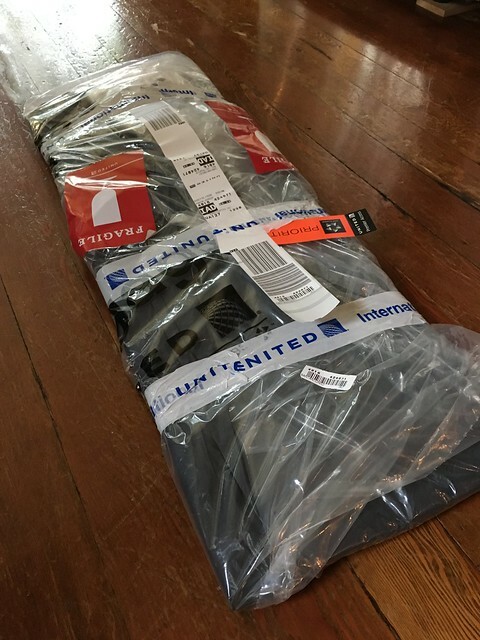 We were nervous we'd arrive home only to have a shattered road sign greeting us on the luggage belt, but the tape marked "Fragile" did its job and the beautiful sign arrived back in the states in one piece! 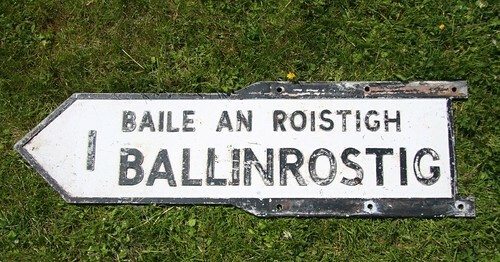 Once we had this wonderfully rustic Irish sign on American soil, we had to figure out just what we wanted to do with it. We knew it would work beautifully in our Foursquare in helping direct our guests to the water, but just where we'd place it was unknown. Should it go in the dining room? 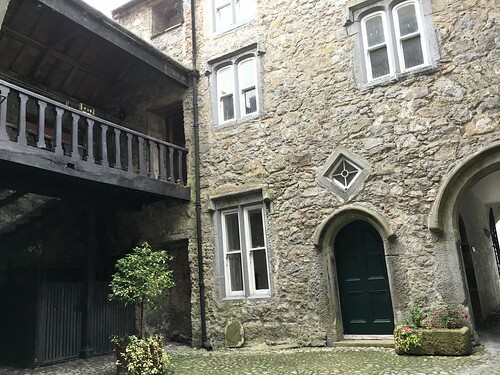 Perhaps the hallway? We knew the arrow would need to point in the correct direction, but that was about it. After some significant deliberation, we had that classic DIY "Ah-Ha!" moment. 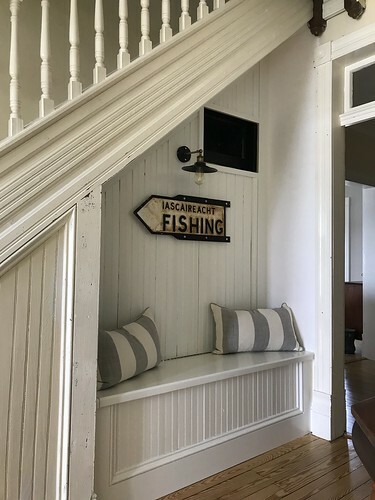 When we constructed our hallway built in bench with salvaged beadboard below our main staircase, we'd presented ourselves with the perfect opportunity. The sign could be mounted on the open area and would be visible from not only the hallway, but also the kitchen. When it came to mounting it I didn't want to simply hang it on a few nails and call it a day. This sign is big, heavy, chunky, and has a ton of texture with the raised lettering and border. I wanted to take advantage of these details and accentuate the fact this that large sign had lived the majority of its life as a utilitarian directional road sign. In order to add depth to the mount I devised a little wood mounting frame. And since the sign was originally bolted onto a sign pole, I wanted to stay true to the roots of the sign and affixed it to the wood frame with stainless bolts. But for mounting this right to the wall, while adding as few holes to the beadboard as possible, I put a few small mounting keyholes in the wood frame. 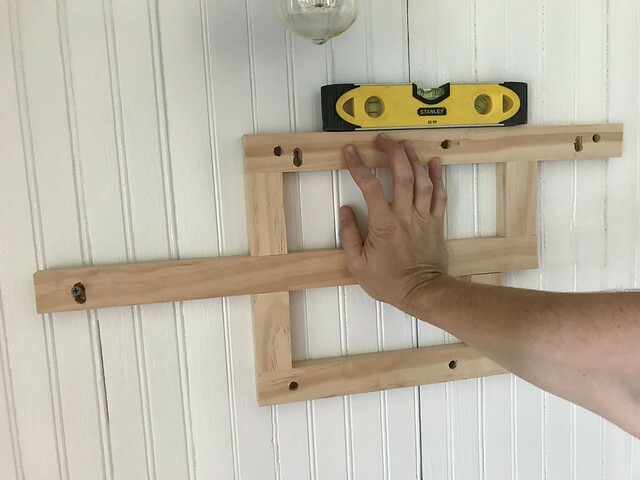 This would allow us to easily slide the frame on and off of the screws, making it easy to remove in the event I need access to the secret panel for the crawlspace. All said and done this little addition to our built in bench and beadboard nook is a true favorite aspect of our home. We still have a lot to do in this little hallway. Lots of plaster, paint, and putting in a beautiful antique cast iron register cover over the black air intake opening. But until then, the builtin bench area is looking really great. The story behind the sign and how it came into our lives is a memory we'll always cherish. It's a unique aspect to our home that you'd be hard pressed to find in another home. And best of all, it serves a purpose. 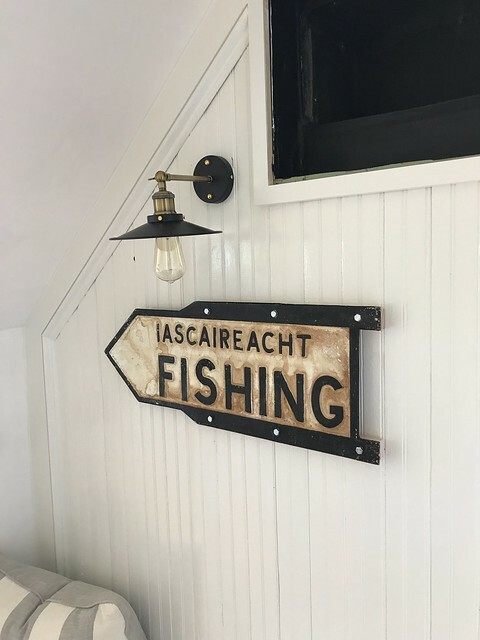 If you're ever over our house and want to know where to find the fishing, just glance at our hallway sign and you'll be on our way. Best of all, it applies whether you read English or Gaelic! Ha! Great post, but even better because it reminded me to comment with some info I have been meaning to pass along to you for months. 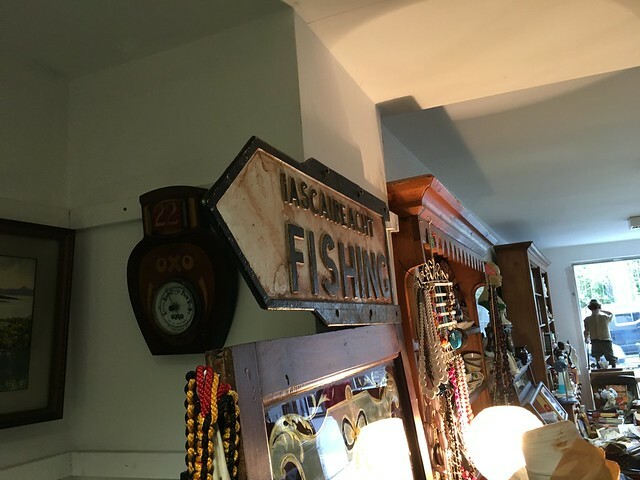 I was antiquing with my Mom in Norfolk, Va a few months back, and we went to a neighborhood we'd never shopped before, and walked into a place called Country Boy Antiques. We made a quick circle through and got out ASAP because I soon realized that it was a death trap for an 80-year old recovering from her second hip surgery in one year. But let me tell you - the entire time I was in there, all I could think was "Alex would love this place." 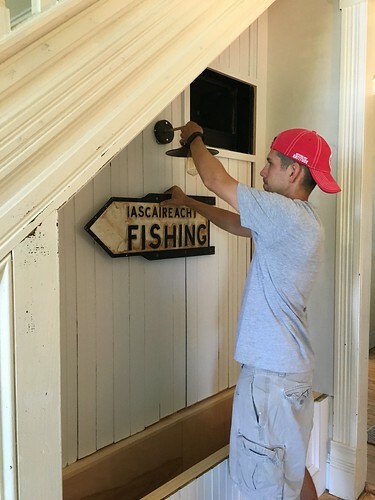 It was full to the rafters with wood trim, windows, hardware, door knobs, stairwell posts and balusters, hinges, etc...most of it looked to be salvaged from some of the historic homes in the area. If you're ever in town, check it out! I just looked through photos of this place online. It looks AMAZING!! (And I think we might never convince Alex to leave!). A really cool sign, good additon to bench area, and great story and memory--love everything about it! That is utterly, utterly charming. Perfect spot.